HAHN/ILYIW Stars and Their Families Share New Year's Messages - Check It Out! It's the beginning of a new era, the start of a new year - it's 2018! 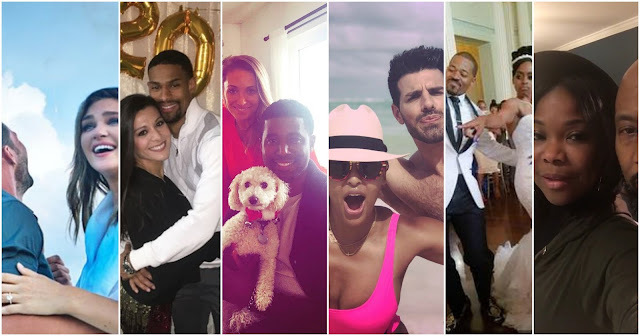 Happy new year to all our fans, check out the new year messages as posted to social media by your favorite 'The Haves and the Have Nots' and 'If Loving You Is Wrong' stars and some of their real-life partners/families! 2018, we’re ready for ya with open arms!! Get Ready for your NEW THING!! ✨“NEW”- 1. Not existing before; made, introduced, or discovered recently or now for the first time. 2. Already existing but seen, experienced, or acquired recently or now for the first time. ✨✨I HOPE YOU RECEIVE THAT!! HAPPY “NEW” YEAR! !✨✨ #Isaiah4319 #GodSaidItBest #NoTurningBack #ALLNEWEVERYTHING #GetReady #2018 #LetsGO !!! Anoche celebrando con Mi hermosa amiga @vfraguio 🎊 Feliz Año Nuevo!! Soap Opera News: HAHN/ILYIW Stars and Their Families Share New Year's Messages - Check It Out!